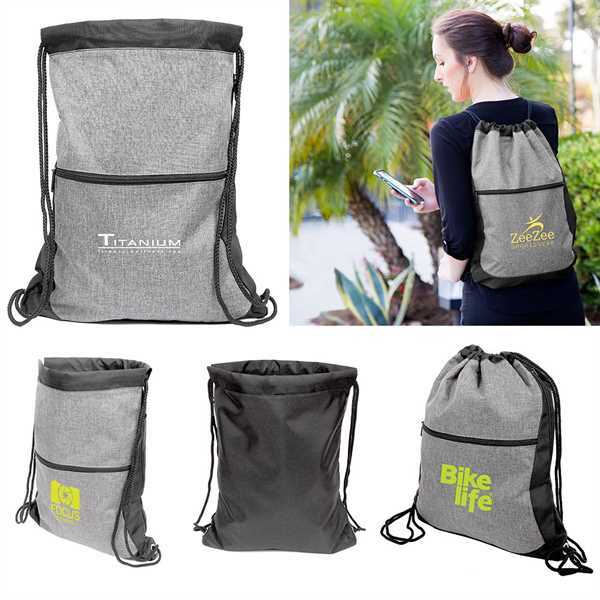 Production Time: 3 business days - Lightweight, sturdy polyester drawstring backpack with plenty of room to carry the essential. Comes with a zippered front pocket and additional zippered side pocket. String shoulder straps loop for a quick-close drawstring top. Size: 14 1/4 " x 18 3/4 "
Ship Weight:23 lbs, The factory has a full service fulfillment facility that can accommodate any packaging needs.